When we were in Buenos Aires last year RJ ate more steak in five days than he had in the five previous months. He was in heaven. I managed to locate the grilled veggies hidden in the bottom of the sides section of menus and discovered the most amazing potato and artichoke tortilla ever. Both of us doused everything in large dollops of Chimichurri Sauce and washed it all down with stunning claret Malbec. But in reality these were the only fully edited photos on my computer and after spending an insane amount of time finishing up the artwork for my MCA Zines these past two weeks I simply needed a quick fix. Don’t get me wrong though, I do adore this sauce and have been spreading it on everything from toasted cheese sandwiches to eggs. 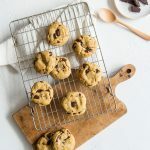 I recommend you whip up a batch this weekend and do the same. So with that I leave you until next week. It’s a big weekend with some Voices 2013 blogging events on Saturday, and a lazy brunch for my birthday on Sunday. As always it will all be streaming through my Instagram feed. Have a great weekend! Found all over South America, this parsley salsa verde is a perfect accompaniment to pretty much anything. Pulse garlic and onion in a food processor/chopper. Add parsley and oregano and pulse until finely chopped. Stir in remaining ingredients and adjust seasoning if necessary. Use to marinate or top steak, chicken, fish or veggies. 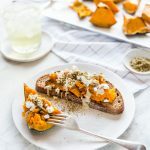 If you don’t have a food processor use this pesto method to make it by hand. What a delicious sauce, can’t wait to try it! I have and have made quite a few chimichurri recipes. Yours is lighter and parsley ‘the only green thing’ attendant. 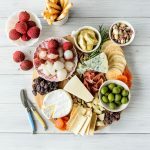 So easy to make: one practically does not have to go out in the kitchen garden bar pick the parsley and use pantry items: it shall be tried soonest!! How did I miss Chimichurri when I was in South America? This is the second recipe I’ve seen today so I’m going to take it as a sign that I’m meant to make it! 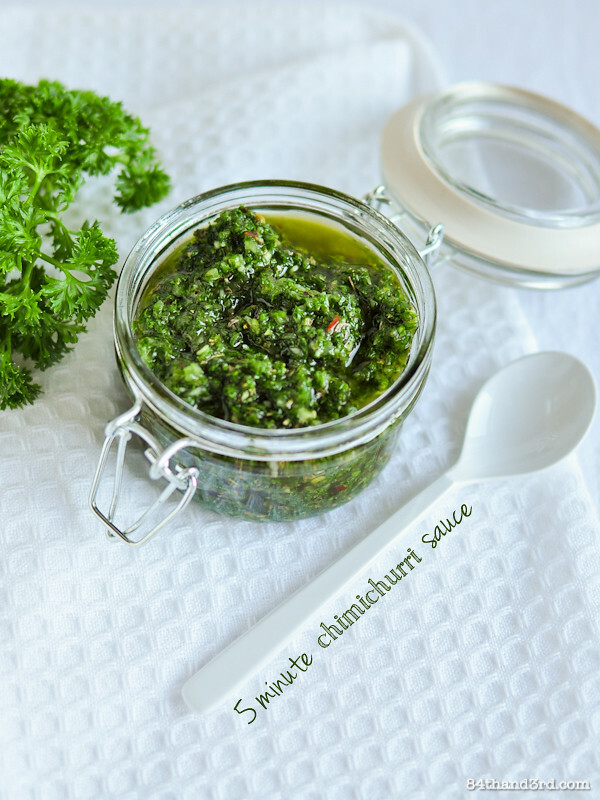 I didn’t realise it was THAT easy to make a chimichurri! I’dd definitely have to give this a go! Ooh yes! Glad you posted this my friend. I need to make this for my spice loving partner asap. So good to catch up on Sunday and good luck for the zine fair! Sounds good. Never heard of it before!! I lead a quiet life! 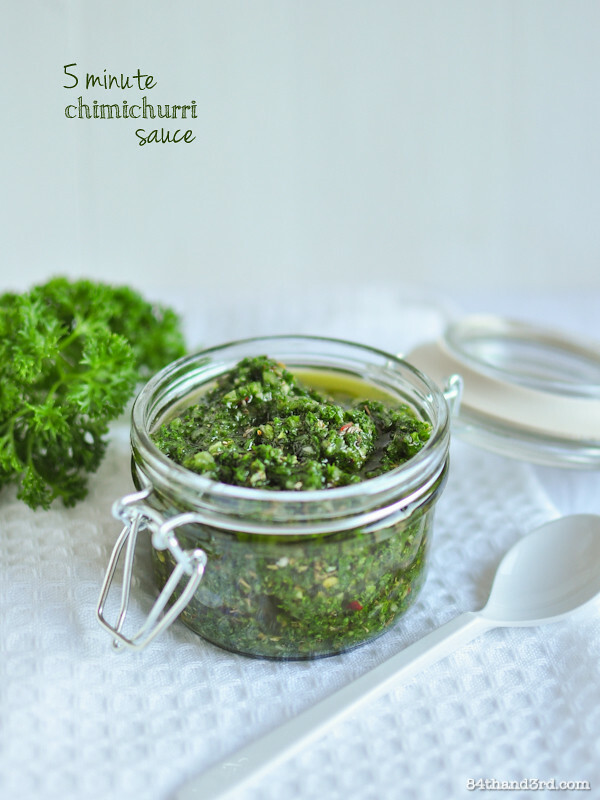 Love chimmichurri sauce! The colours are so fresh and vibrant too. 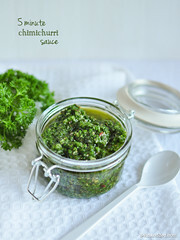 This is the best looking photo I have ever seen of chimichurri sauce, so vibrant green! Go RJ, you eat that meat and enjoy. Do love your chimmichurri sauce. I would be slathering it on everything. Looks great. Love chimichurri sauce. Looking forward to trying this! 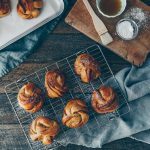 I really enjoyed exploring your blog this month for Secret Recipe Club. So glad I got you as an assignment, and this is a wonderful recipe. I even ate it on my fried egg in the morning!